We invite you to join us on a hunting expedition in the "Land of Enchantment". The mountains of northern New Mexico contain vast tracts of public lands populated with ELK, MULE DEER, BEAR, COUGAR, BIGHORN SHEEP, MERRIAM TURKEY, AND ANTELOPE. Hunt the peaks of the southern Rocky Mountains, the rich pastures of large mountain meadows, and the pine and aspen forests near trout streams and lakes. Abundant game and low hunting pressure create a trophy hunter's paradise. 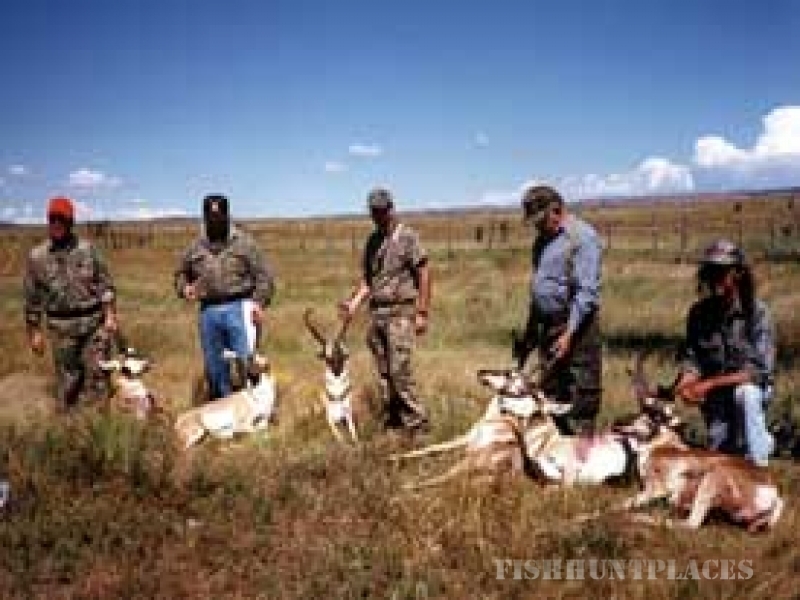 I am a native of northern New Mexico and have been hunting the area as a Professional Outfitter for over 30 years. 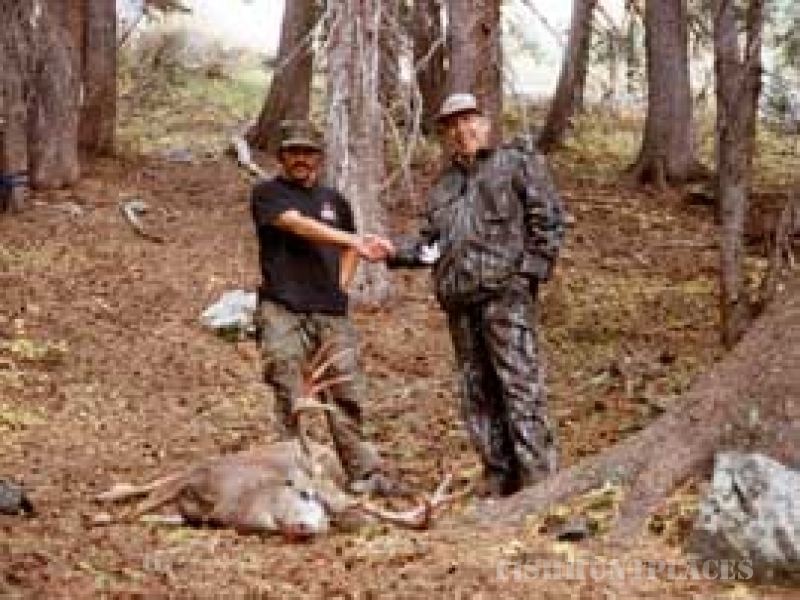 My guides are all knowledgeable local guides that have hunted with me for many years. We primarily hunt the North, on the Carson and Santa Fe National Forests, some BLM and State Lands, which together comprise over 3,000,000 acres of prime hunting areas. There is good four wheel drive access to most of our hunt areas. We also hunt some excellent private ranches for Elk and Antelope. The New Mexico Department of Game and Fish issues Big Game Hunting Licenses through a drawing - the deadline is in April. A percentage of licenses are reserved for nonresident hunters on outfitted hunts. Our hunters have close to 100% draw on most hunts. 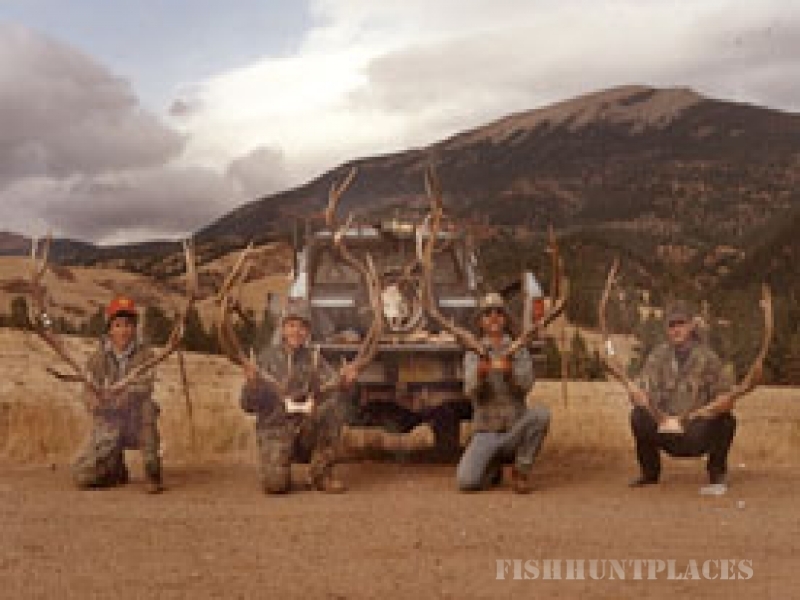 High Mountain Outfitters offers a variety of hunt packages to meet each client's needs. Guided hunts are set up one guide for two hunters. One on one is offered for an additional fee. Unguided drop camp hunts are available for elk. Please contact High Mountain Outfitters for a current price list and season date information, hmo@huntingnm.com.